USAID policies, strategies and frameworks aim to convey Agency leadership's priorities and, in some cases, to make agency commitments to key stakeholders. A collaborative, evidence-based process guides the policy and strategy process, engaging expertise from the Agency and external resources. 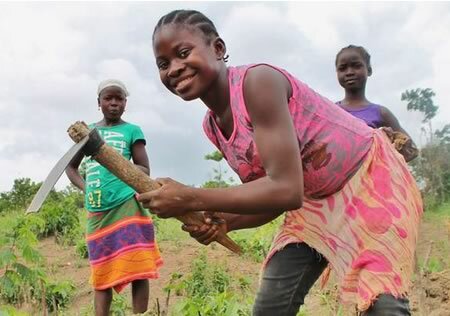 USAID is committed to a future in which both people and biodiversity thrive—through improvements in economic prosperity, social equity and environmental stewardship. The Agency’s Biodiversity Policy builds on a long history of conserving biodiversity and reflects the key role that healthy natural systems play in achieving development goals. 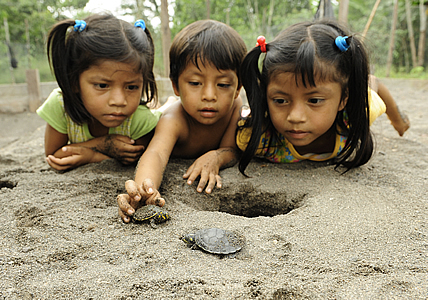 a new focus on integrating biodiversity and other development sectors for improved outcomes. The Policy recognizes that unsustainable development can drive biodiversity loss, that the trade-offs between conservation and development goals must be understood and managed, and that biodiversity itself is essential for achieving sustainable development. 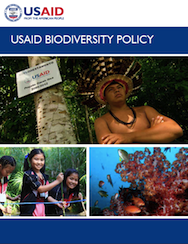 USAID is implementing the Biodiversity Policy in a number of ways. Chapter One of the Biodiversity and Development Handbook provides the context of the Policy, while Chapter Two walks through the USAID Program Cycle steps for biodiversity programming. Chapter Two also lays the groundwork for conservation effectiveness by describing a rigorous planning and implementation approach. The Measuring Impact project has also developed additional tools and how-to guides to supplement this Chapter. The Biodiversity Policy promotes the integration of biodiversity conservation with other development sectors, including climate change, gender equality and women's empowerment, and water management. The Legality and Sustainability page profiles work on combating wildlife trafficking and on illegal, unreported and unregulated (IUU) fishing and seafood fraud. President Obama issued executive order Climate-Resilient International Development in September, 2014, expanding the U.S. Government’s policy on climate resiliency to international development projects. Specifically, the executive order established a new Working Group on Climate-Resilient International Development within the Council on Climate Preparedness and Resilience. identifying approaches for aligning the agencies’ programs and funding decisions to address the outcomes of these climate-risk assessments. Climate change is one of the greatest challenges in the world today. USAID is addressing this issue in ways that recognize both its severity and the innovation and beneficial investments that clean economic growth can encourage. Supporting countries on their paths toward climate resilience and low-carbon economic growth can also provide a more stable and prosperous future for the U.S. and partners—including through new markets for clean technology and expansion of the green economy. Alternatively, climate change could jeopardize many of the development gains the international community and the U.S. government have worked for decades to secure. Gender equality and female empowerment are core development objectives, fundamental for the realization of human rights and key to effective and sustainable development outcomes. A society can only develop successfully by providing equitable opportunities and resources to everyone so they can shape their own lives and contribute to their families and communities. Although many gender gaps have narrowed over the past two decades, substantial inequalities remain across all sectors in which USAID works, particularly in low-income and conflict-affected countries and among disadvantaged groups. 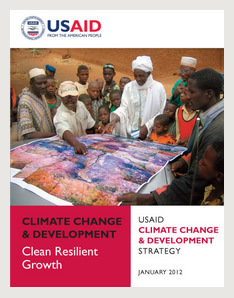 USAID is committed to evidence-based programming to improve outcomes and contribute to the global knowledge base. The Scientific Research Policy underscores the importance of research to design, test, improve and assess the effectiveness of approaches and interventions. While the Agency is not a research institution and can only support limited research directly, it can influence, leverage and, above all, use relevant research. Given the importance of USAID as a conservation donor, a research agenda that identifies key questions for the Agency is an asset to scientists and research institutions that want to carry out policy-relevant research. 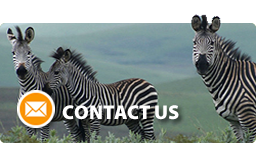 The Biodiversity and Development Research Agenda seeks to build the evidence base for the links between biodiversity conservation and development outcomes and to improve project effectiveness.